Are you afraid of receiving a bad review or customer complaint? Frustrated and disheartened when you do receive a bad review, and don't know the best way to handle it? Does your reputation rely heavily on reviews and recommendations? Are you a merchant on major sites like Yelp!, Trip Advisor, eBay or Amazon? Stop waiting your time and energy worrying and/or answering bad reviews. Stop sending out unnecessary refunds and vouchers. What if you could recover your client without spending a penny....and perhaps even turn them into your raving fan?? Bad reviews are not the problem. The bad review is the result of a problem. The real problem is the lack of standards within your organization when it comes to the delivery of the client experience. The real problem is that customers have huge expectations because there is so much choice out in the market place. The real problem is that there is a lot of ambiguity when it comes to service breakdowns that vary from individual to individual. The problem is that there are many dimensions to service breakdowns and they vary, based on customer expectations. The real problem is that businesses out there are more worried about acquisition rather than retention of their customers. We all know that a bad review can ruin the reputation of your organization instantly and in a huge way because of the internet. We all know that you have to act when a bad review happens you just can’t hide it under the sheets. 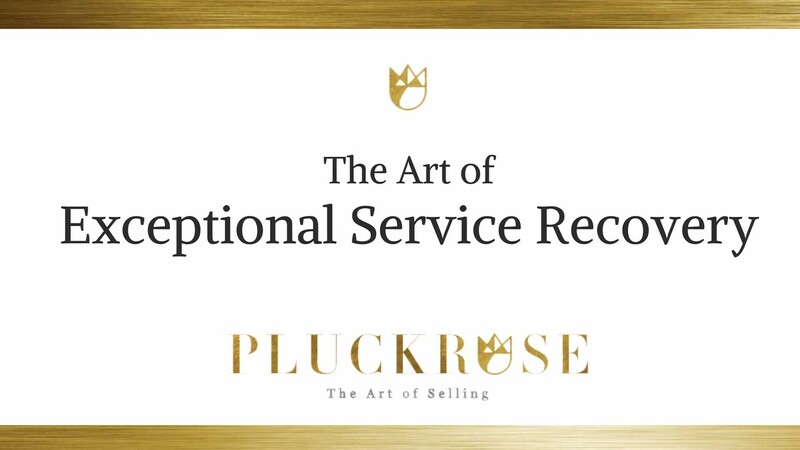 We all know that we should be providing an exceptional client experience consistently and the only way to do this is to ensure we have standards in place that are monitored and measured constantly. Imagine if you knew exactly what to do when a service failure occurred. You had a tool box of service recovery tools to recover a client. And perhaps most importantly, turn that customer into your raving fan!! 2. Why you shouldn't waste your time trying to take the bad review down. 3. How to embrace the fear, negative reviews and feedback. It actually can be an opportunity to shine and turn a disgruntled customer into one of your raving fans. This is called Service Recovery Paradox, and I'll teach you all about it. 4. How to humanize the experience. The person who wrote the review or made the complaint hid behind the screen or phone. Instead I'll teach you how to show up as a person and kill them with kindness. 5. How to respond in a timely manner in a way that meets your customers needs. 6. Thank clients in a way that meets their unexpressed needs. 7. How to really listen, empathize, apologize & provide what the client really needs to move on. 8. Be creative with your tools. One size does not fit all. 9. Recover a client based on the value you bring to your organization. 10. How to create standards and an exceptional client experience so that recovery situations...or the FEAR OF THEM, wouldn’t need to happen as often...or even at all. Imagine the relief you would feel if you had service recovery tools in place, and everyone on your team was educated and empowered to use them. You would not be the sole recovery person for customers. Everyone on your team would intuitively know how to recover a customer based on the value they had bought to your organization. If you are serious about learning how to recover your clients then take my course on the Art of Exceptional Recovery. If you want to take a step further because you really want to minimize service failures and implement standards into everything you and your team do to ensure you provide an exceptional client experience, then I have the Exceptional Client Experience course that will show you exactly how it is done. Of course if you want a full evaluation of your organization, if you have any questions whatsoever, or just want clarification on some of the things I have spoken about please feel free to contact me.